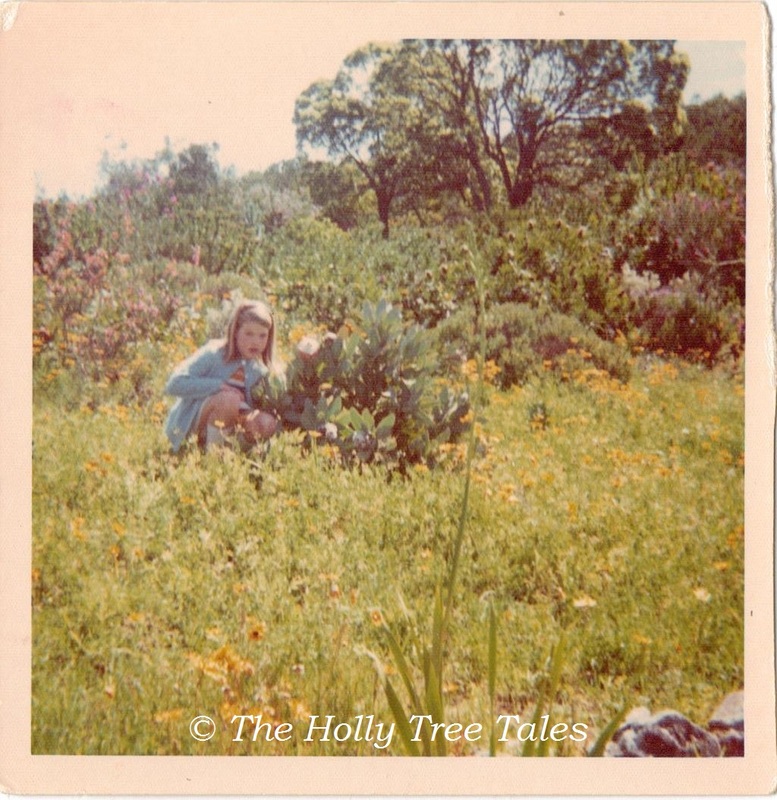 The Author amongst plants on a family journey between Kwa-Zulu Natal and the Cape, stopping somewhere en route, possibly Namaqualand … A child adoring the exquisite floral beauty, simply growing wild and free all around her. Circa 1973. The ‘poem’ below wrote itself, it took no time at all to release … I walked up to my computer, sat down at the keyboard, and just let the words flow, as tears streamed from my eyes. I did not edit it, simply hit return and ‘published’, once the flow of words had ceased. Strangely, there had been many years in between my leaving South Africa in December 1985 and sitting down to let this poem ‘escape’ on the evening of Saturday 26 October 2013. The strangest thing of all was that, for many years, I had completely forgotten every word of the second language of my country of birth, a language that was never ever used in my ‘very British’ home. Somewhere deep in my subconscious, however, the longing thrashed about and translated itself into the language of the land that I longed for. At the time of writing, as now, I did not know whether the words made any grammatical sense whatsoever … yet somehow my teenage son, who speaks not a word of Afrikaans, picked up the emotion and the significance of this poem. I think the trauma of leaving, readjusting, and the difficulties encountered in a new country, not once but thrice since 1985, caused my subconscious to block much that I had taken for granted before. Ja, ek wil huis toe gaan. Ek moet huis toe gaan. Die pyn is soms vreeslik koud. Voor alles is vergeet en ek is baie oud. Asseblief. Net huis toe. Nou. End note: Two years hence, I think I have remembered sufficient Afrikaans and South African ‘lingo’ in order to be able to vaguely translate this piece. I have not travelled home to South Africa since 2007, and only twice briefly before that. This year marks the thirtieth anniversary of my leaving South Africa, very reluctantly, during incredibly unsettled times in that beautiful country, still struggling to find its peace. 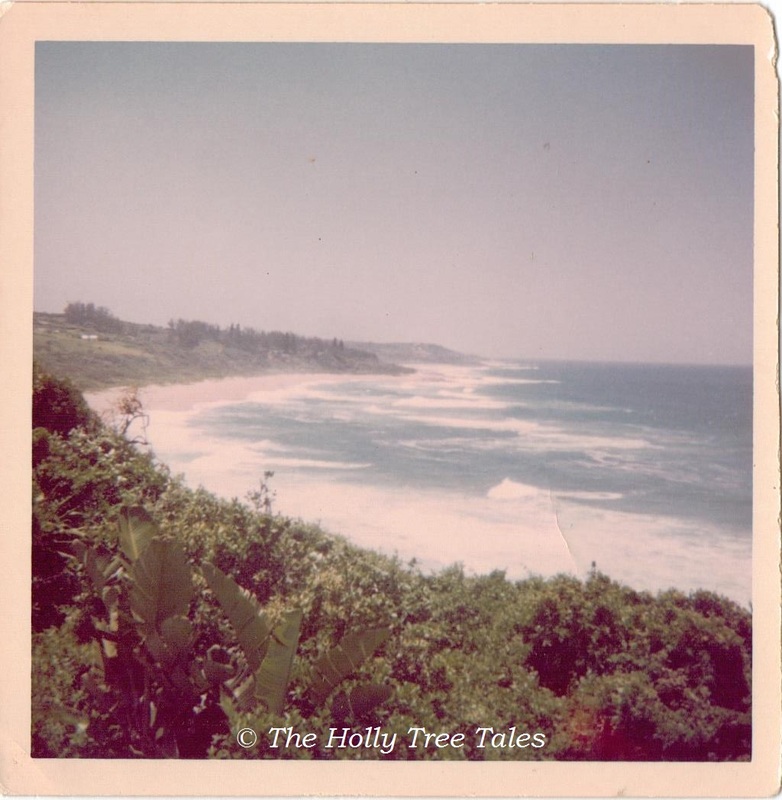 Ifafa Beach, on the South coast of Kwa-Zulu Natal, during the 1960s. A place very dear to my heart, much-visited and very much loved as a young child. A place I long to visit, often. Thank you so much, Nicky. I really appreciate your comment!